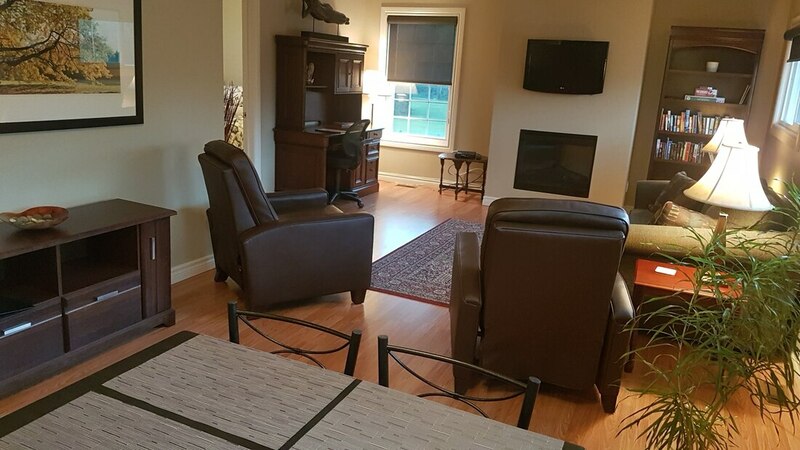 600 square feet, very private, self contained 2 bedroom suite. Offers 2 separate bedrooms, one with a queen sized bed, a second bedroom with a double bed, as well as a double pullout bed in the living room. Full kitchen plus a dining area, with a table and 6 chairs. Spacious living room with a flat screen, desk and a gas fireplace. 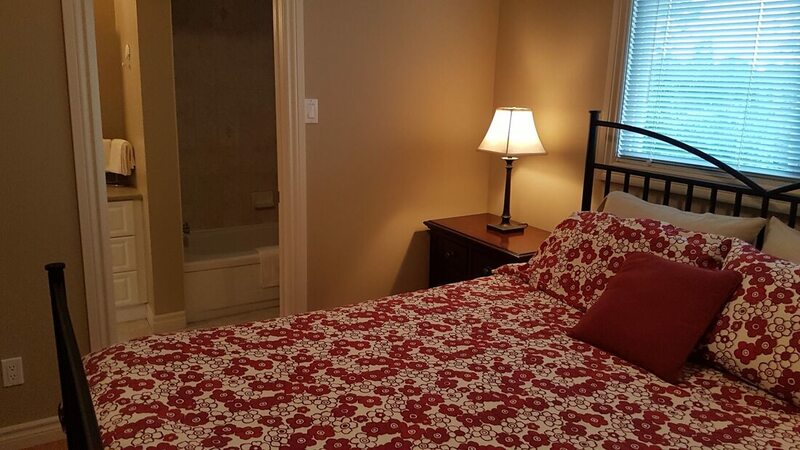 Private full washroom, centrally located, with lots of hot water. kettle, toaster, blender and microwave. Kitchen dishes, utensils and cookware provided. Beautiful window coverings, and lots of windows throughout. Linen, bedding, towels, coffee, tea, milk, cream and juice provided. Suite will accommodate up to 4 guests. * price for 2 people (additional guests are +$25 each per night). Children 3 to 16 years are $15. Children under 2 years are free.